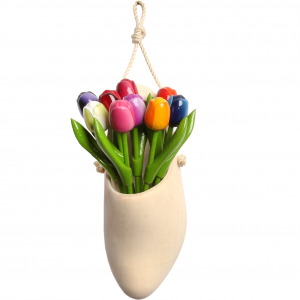 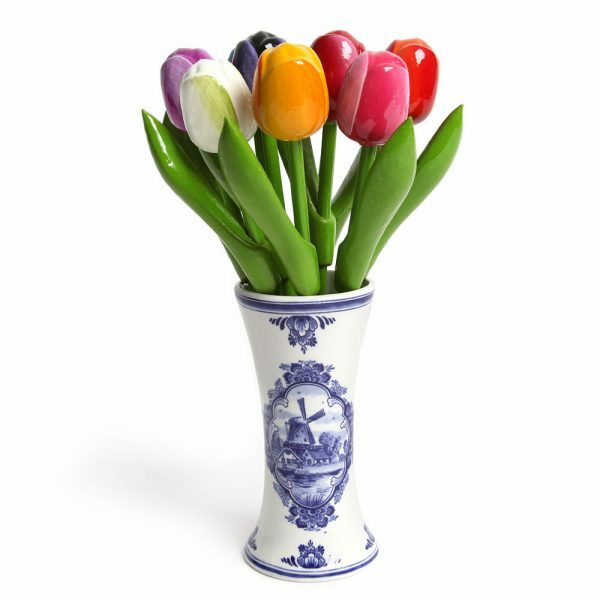 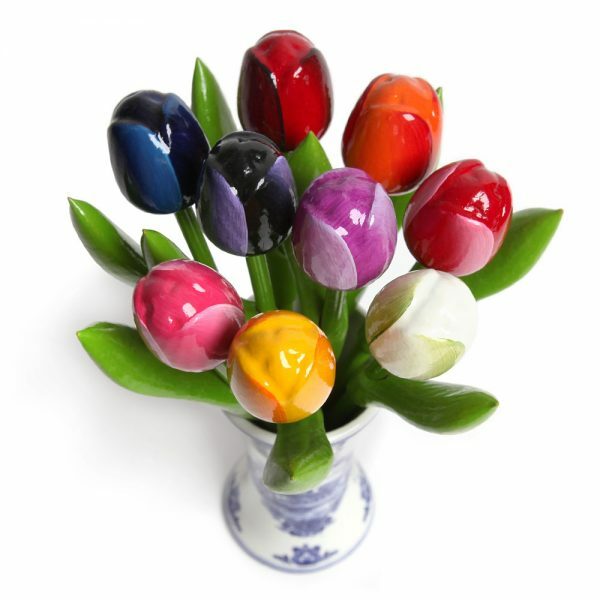 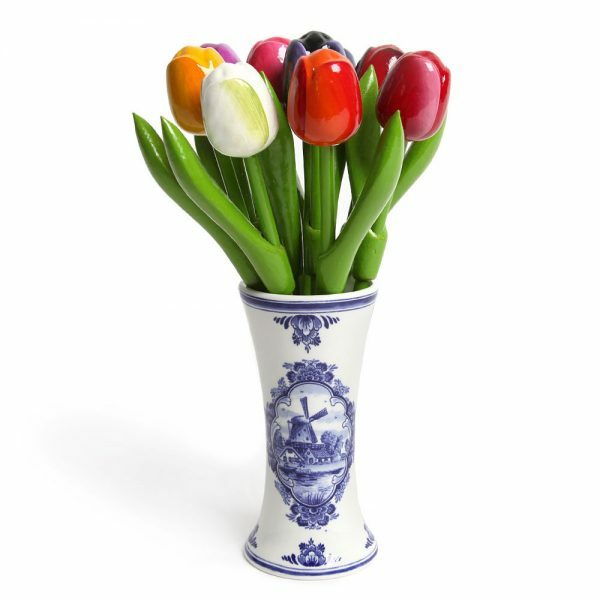 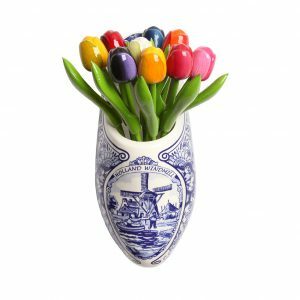 New in our assortment: 9 small multi-colour wooden tulips in a Delft blue vase. 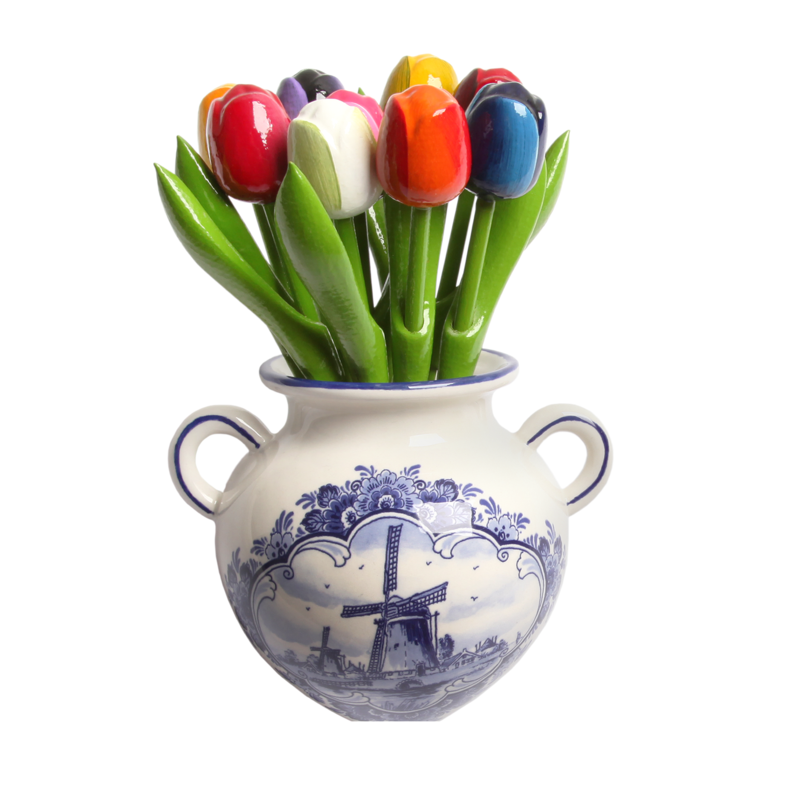 A beautiful decorative ‘typical Dutch’ high quality design piece. Total height: 21 cm. 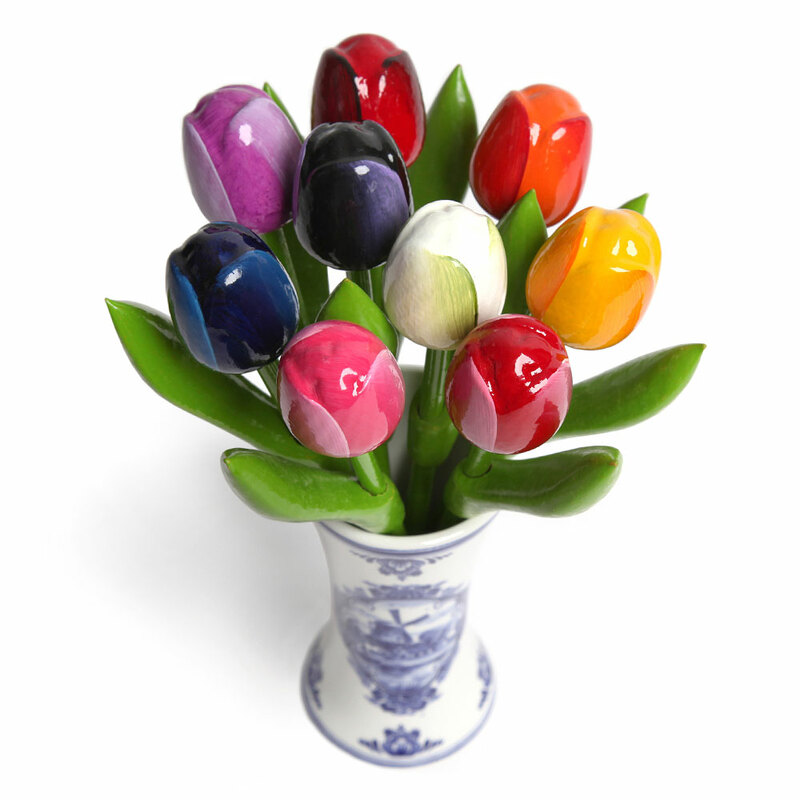 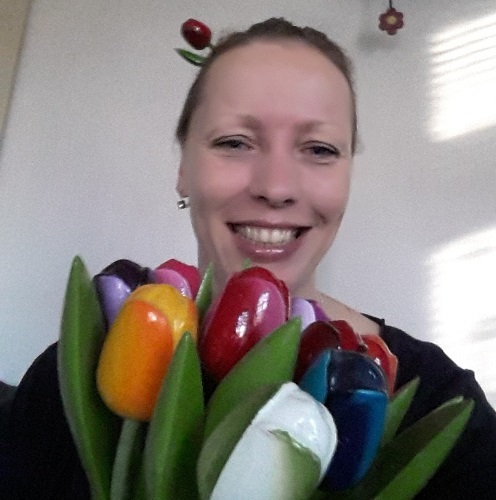 We’ll send out these tulips in a vase solidly and well packed.